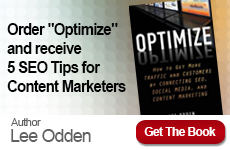 Interview on Social Media and B2B Marketing with TopRank Online Marketing CEO Lee Odden for Web Marketing Today. eBay Acquires Location-Based Media And Advertising Company WHERE. Clearly a trend, retail giants are investing heavily in social and mobile technologies. Via TechCrunch. New report: Marketing to the Mobile Shopper by Arc Worldwide, 50% of U.S. adults are mobile shopping and 51% of consumers are more likely to purchase from retailers that have a mobile-specific website. However, only 4.8 percent of retailers actually have one. Web retailers who have a mobile-specific website can increase consumer engagement by 85%. Via Leo Burnett. 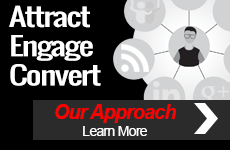 The End of Last-Click Attribution? Google and Analytics Multi-Channel Funnels – Some call it multi-touch attribution, others call it engagement mapping. Google calls their limited pilot of this new feature, Multi-Channel Funnels, and it has to be one of the biggest talking points in online marketing measurement circles today. Via Econsultancy. 8-Point Survival Guide for Too Much Business Travel offers sage advice from Ann Handley after her multi-multi-city book tour. From apps to what airport to avoid. Via MarketingProfs.